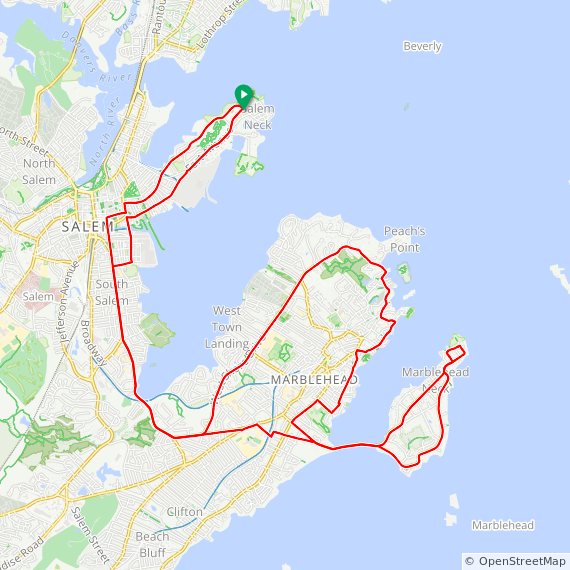 This is a ride on the streets of historic Salem and surrounding towns. This ride is for experienced cyclists only. We are riding in an urban environment that has in places narrow streets and may be heavily trafficked. 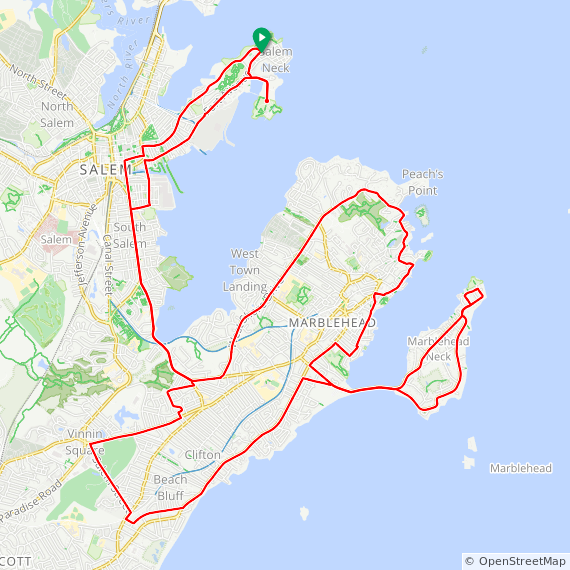 Marblehead Routes: Terrain is gently rolling with a few hills. 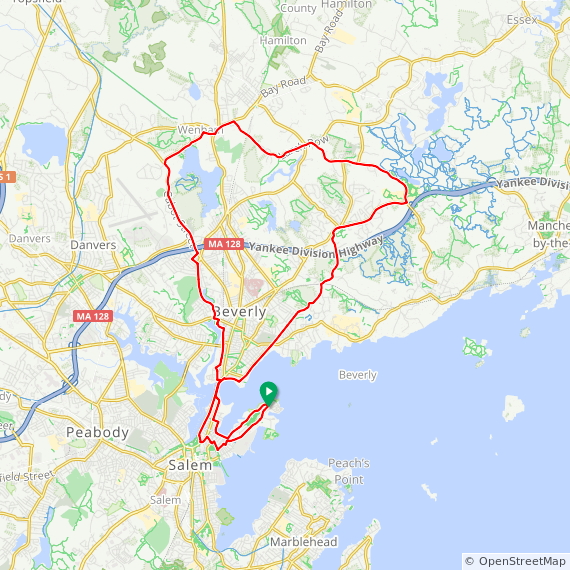 The standard ride goes around the Neck then through Old Town in Marblehead, and is approximately 18 miles in length. A long option increases the distance to 22 miles. 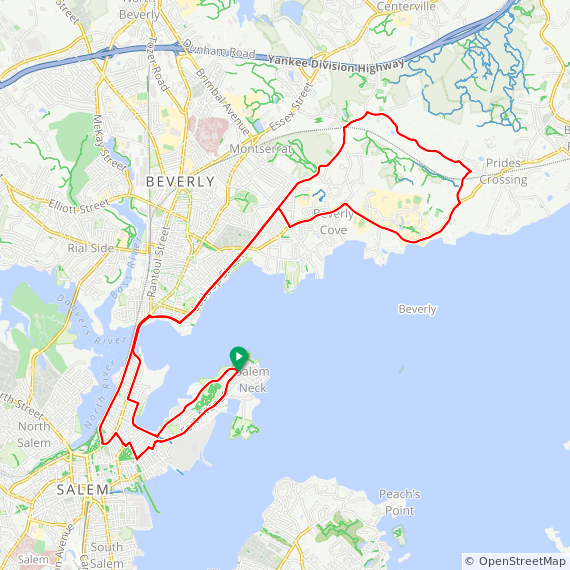 Beverly Route: Terrain is gently rolling with a few hills. The short (13 mi) and medium (20 mi) options head towards Prides Crossing. The short option loops around Endicott College. The medium option extends to Gordon College, and then swings over to Wenham before returning to Salem. Repeats every week every Wednesday until Wed Sep 02 2015.